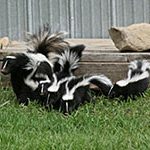 SKUNKS will destroy lawns by digging up the grass to get to insects and will nest under structures to breed. CARPENTER ANTS are among the most prevalent pests. 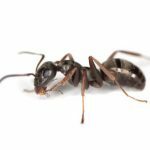 They can cause severe structural damage when they burrow through decaying wood to nest, a common behavior of carpenter ant. 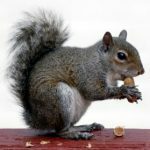 SQUIRRELS will invade homes, chew wiring and destroy wood along the roof lines with their gnawing. Do not block holes in a structure until you’re absolutely sure all squirrels are gone. 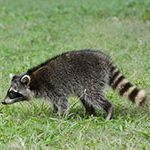 RACCOONS will live in attics or garages if they find one available. They will raid your garbage cans, bird feeders, fish ponds and even kitchen cabinets. A pet door is an open invitation! 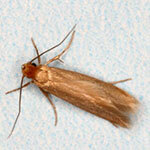 TERMITES can seriously damage the structure of a house or building. 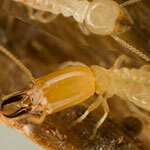 It is important to have a termite inspection performed by a qualified termite control specialist. 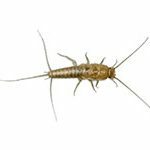 SILVERFISH are mainly a nuisance pest, they can contaminate food and damage paper goods such as wall paper and books. CLOTHES WEBBING MOTHS tend to hide when disturbed, and for this reason, infestations of clothes moths are not usually noticed until damaged fabrics, furs, or feathers are found. 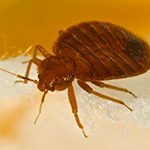 BED BUGS like to hide in small cracks and crevices close to humans. They are elusive creatures, so it is imperative to seek professional pest control to address an infestation. 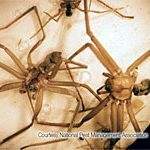 BROWN RECLUSE SPIDERS bite in defense. They will bite humans when the clothing they are hiding in is worn. The brown recluse spider bite is painful and can produce an open, ulcerating sore.